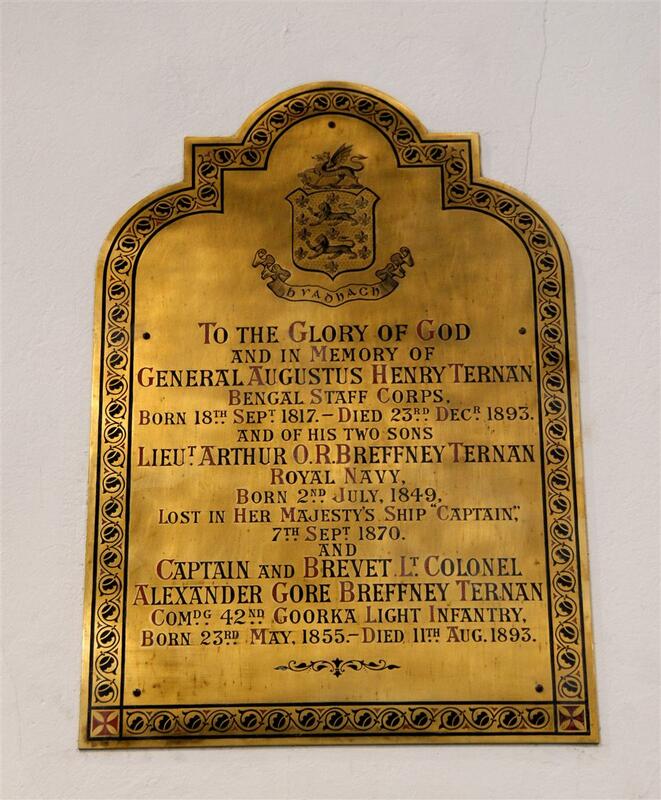 ﻿To the Glory of God / and in memory of / General Augustus Henry Ternan / Bengal Staff Corps. / Born 18th Sept 1817 – Died 23rd Decr 1893 / and of his two sons . Lieut Arthur O R Breffney Ternan / Royal Navy. / Born 2nd July 1849. / Lost in Her Majesty’s Ship “Captain”. / and / Captain and Brevet Lt Colonel / Alexander Gore Breffney Trenan / Comdg 42nd Goorka Light Infantry. / Born 23rd May 1855 – Died 11th Aug 1893.